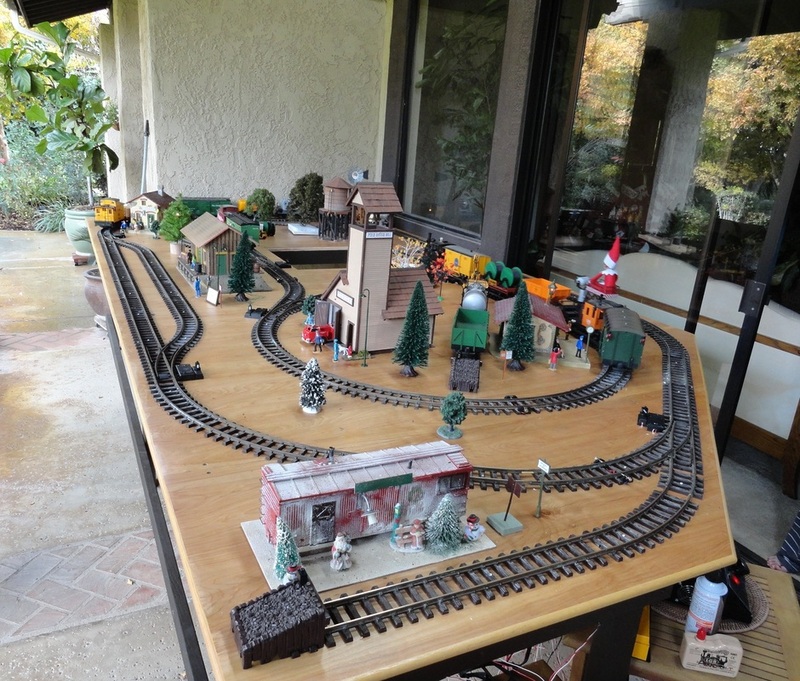 This layout was built for a neighbor up the street who always wanted his own garden railroad. 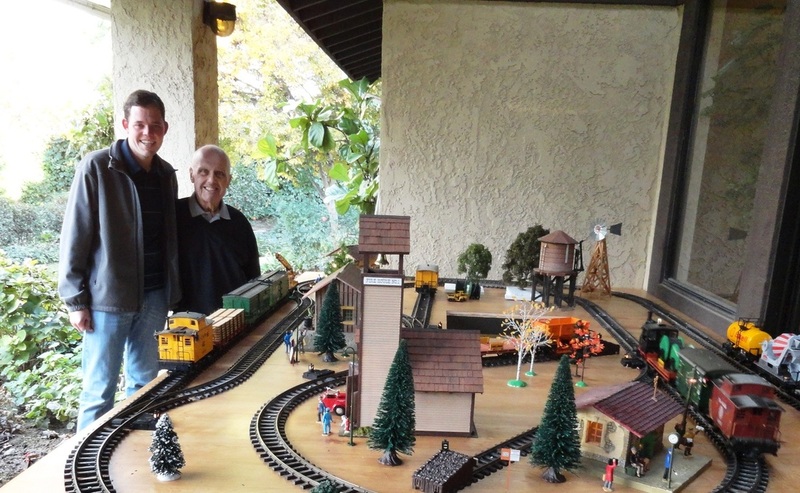 The layout is on a 7' x 14' table top. Two trains can run simultaneously through lighted buildings and scenery. This layout proves that you can still have fun in a small space!